Sonitrol has the best apprehension rate in the industry – and the fewest dispatches for false alarms. In fact, in January 2006, Lehman Brothers named Sonitrol "the leading alarm verification company." Our integrated components allow us to customize a solution that can expand easily as your needs grow. Today, more than ever, businesses face an increasing number of difficult security challenges. As a business owner, security manager, or loss prevention specialist, you are probably aware of the disturbing trends. False alarms have become an epidemic and it’s beginning to effect police response. WILL THE POLICE RESPOND IF YOUR ALARM SOUNDS? They might not. False alarms have become such an epidemic – with some communities reporting up to a staggering 98% of all alarm activations as false, according to the U.S. Department of Justice – cities across North America have implemented Verified Response policies to combat the problem. Verified Response states that police will respond to an alarm only if it can first be verified by the alarm company. Alarm verification is the hallmark of Sonitrol’s security solutions and has been since the company’s inception in 1963. Sonitrol was founded by a police officer tired of traditional alarms with their high rate of false alarms and miniscule rate of assisted apprehensions. Today, Sonitrol offers a full line of intelligent security solutions that allow our operators to verify what is happening at your business. When a Sonitrol audio-based alarm is triggered, it sets off a silent alarm that enables trained operators to actually listen to verify the nature of the event. They can hear and verify whether a break-in is in progress, or whether it was simply a false alarm. This is important for two reasons. First, it leads to a reduction in false alarms. Second, it leads to more apprehensions because police will respond faster to a verified burglary in progress. 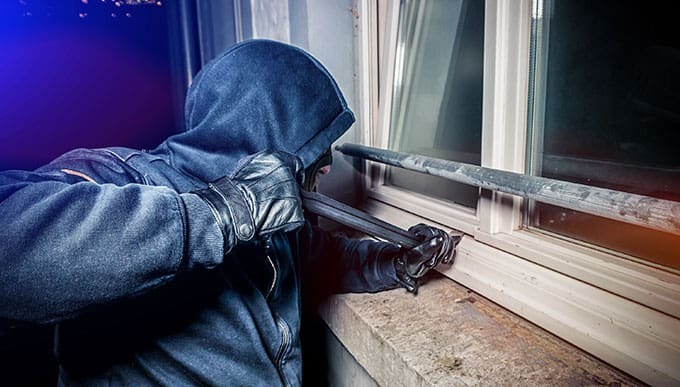 When Sonitrol dispatches the police to an alarm, they have confidence that a break-in is happening; that is why most police departments give Sonitrol alarms a higher priority over other alarms. And our state-of-the-art technology and trained Central Station operators can hear, interpret, locate, and report the sounds being made inside a building as they occur. No other system can give police such accurate, real-time information. With Sonitrol, the average police response time is 7 minutes, over 400% faster than traditional alarms. It works - together we have apprehended more than 157,000 suspects. © Copyright 2009 - 2013 Sonitrolanderson. All rights reserved.